Okay let me make this very clear. This book was HORRIBLE. That is all I have to say. 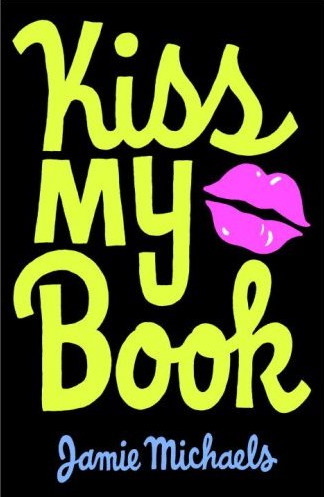 All of the teenagers in Whispering Oaks (the town) now like books so they protest (and Georgie writes a petition that says “kiss my book” to the owner like 30 times, so that’s their apparent slogan…). The lady that accused her finds her and Ruby’s plastered on the news. The people in the town at first don’t like her (causing her to dramatically say that plagiarism is wrong and she only did it because she wasn’t good enough). Jacob says her loves her on the last page (corny), he likes books too. Georgie tells Rabbit she’s beautiful because she’s not confident and then Rabbit gets a boyfriend. Oh, there’s a haunting as well. About a couple from long ago that had a forbidden love and that love is the same as Jacob’s and Ruby’s. She begins a new life in the high school with her new friends as Ruby, and forgets her old life. Its very stupid. This summary actually compliments it really well. Just don’t read it, please. I loved it. Period. This book is about a girl named Lauren who has what freshman look at like a “perfect life.” Lauren has a perfect boyfriend, Dave, who is nothing but nice, athletic, and did I mention all other qualities to make him perfect. But Lauren feels nothing with him. Nothing at all, no butterflies, no sparks, he’s just there and not even his kisses feel that good. He’ll never touch her because he’s very religious and respects her. What girl wouldn’t like that? Lauren is one of them. Entering a new term, senior year, she meets someone for the second time. Evan Kirkland. Who is he? He’s one of his dad’s five girlfriends after Lauren’s mom left’s son. The last time she had seen him they were around 8. Now, Evan has moved to this high school, the third in three years. Soon, all Lauren does is think of him. About that even when she looks at him she feels more than how she feels when Dave talks and kisses her. He’s so safe and yet all the freshman girls drool over him and hate her. What is wrong with Lauren? She falls for Evan, quickly meeting him everyday after school at the library. He does his homework here because he works from 6pm-2am at freight. Crazy, but that explains the cuts and bruises he has. But every look at Evan, his messy hair and his smile makes her even more crazy over him. Apparently so has he because sooner than that they are kissing behind everybody’s back. Katie, Lauren’s best friend doesn’t even know what’s going on. Dave acts normal. Lauren doesn’t know how to end it with Dave and on he goes planning things of their future. But its just pointless because lauren doesn’t feel the same. Family drama here too. Her dad barely talks to her, mostly he’s on business stuff all the time. At the end Lauren makes her choice. The choice is not unpredictable but I loved how Elizabeth Scott ended it. When her dad spoke to her and told her exactly how she felt. Like it was all repeating. I love Evan and Lauren together. 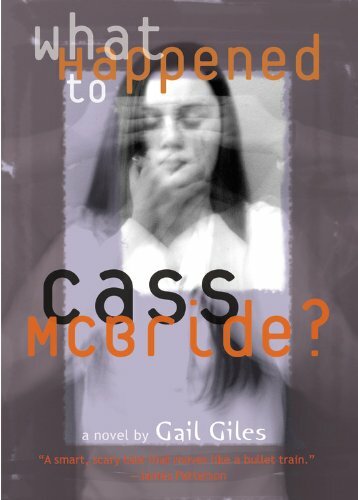 Title: What Happened To Cass McBride? Number of Pages: 211 (small, though). Rating: 3 ½ out of 5. Cass McBride, 17, girl, popular– has a problem. She has been taken from her home and ultimately been buried alive. Underground… in a crate grave. She has a tube to let her breath and a walkie-talkie taped to her hand. She is in that grave because according to Kyle Kirby, she needs to pay for the suicide his brother committed that he thinks she is the cause for. David Kirby hung himself a day after he found a note, by mistake, that Cass left behind for her friend saying he was gay, low in the food chain, etc. Kyle “tortures” Cass by keeping her down there. Cass decides what to do to get out. She will use what she knows can get her places–her mouth. She and Kyle start talking. And she knows how to do it well to a point where he cracks and loses control. He talks about how his mom was always yelling at David and him, mostly David because he looked like their dad who is never around anymore. Mrs. Kirby is not a happy lady apparently, and she’s very mean to her sons. Cass makes it clear that that’s why David killed himself and manages to get some water from Kyle. Ben is a detective assigned to the case. He digs down through Cass’ history. She knows how to get what she wants, very determined, she got that from her dad. Her mom lives in another state and they don’t talk. Cass’s boyfriend isn’t really her boyfriend, just a way for her to get more votes for Homecoming queen. Her best friend is just there. Cass makes other people feel bad to make her feel good, she reveals. Anyhow, this is a good book. Its so easy to read and straight to the point. It’s told in three different points of view. Lots of family drama…. good. Another book for AP. It was way more interesting than Guns, Germs, and Steel. It had to do with a gorilla, Ishmael, who was taught to speak by his deceased owner and Ishmael has learned many things about humans. He puts an ad in the paper to look for a student to teach, the ad reads “Teacher seeks pupil. Must have an earnest desire to save the world.” The narrator takes up on that offer, at first feeling it was ridiculous for someone to ask for a student with an “earnest desire to save the world.” He soon feels even more ridiculous, learning that his teacher is a gorilla! And so what happens is that throughout the book Ishmael explains how mankind has been too smart for their own good. Humankind believes that Earth was made for him to rule it. The Takers of the world–most societies, including my own, are this. Takers have come up with a story of how it came to be… humans that is. “Oh, first there was a big bang, Earth created, water flourished and made life possible for little squirmy bacteria that led to bigger things… amphibians, reptiles, mammals, man.” But in reality, that’s just a story made up to keep the lifestyle we have started. Is it not true that we keep farming more and more land each year, making our population so incredible we don’t almost fit. Then we feed the starving people of the world, which make the population even higher to just reproduce more starving people. Is it not true that we’ve killed animals for feast, domesticated plants to help feed us. Why don’t we let other things around us be? Why don’t we let them act on the peace-keeping law, just like the law of gravity, it’s a must. Yet we don’t do it. We keep taking as if the world is ours. If we hadn’t then maybe there would be other species like us. Also, Leavers are viewed as savages, when they’re just like us, just living another lifestyle. They believe in the gods and how they are merely another aspect of the world and not how Takers think–that the world was MADE for them, that it belongs to them. Sad to report, someone dies in the end. Ishmael. But he has left the narrator this information, to spread, to SAVE THE WORLD. Will we do it? You are currently browsing the What Vanessa Reads blog archives for January, 2008.